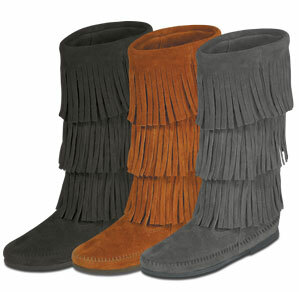 More than just boots - our fringe boots feature authentic designs that become a part of you. In natural suedes and genuine " moccasin soul." Soft suede leather.